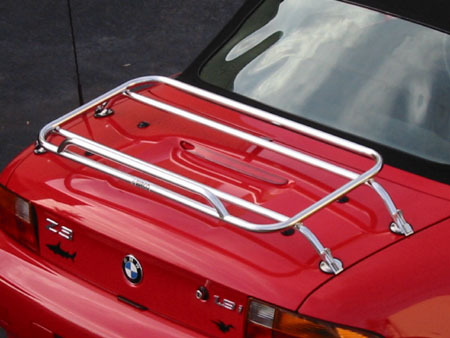 BMW Z3 Trunk Racks, Bike Racks, Luggage, and Accessories. Add extra storage for those long trips. Here is an easy to install / remove stainless steel trunk rack by SURCO. No drilling required. Fits all models of Z3 roadsters even the ///M! Attaches to trunk in five locations for security. Soft rubber pads under legs. Rack accessories shown on this page are not for this rack. 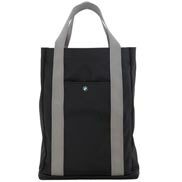 SORRY, THIS ITEM IS NO LONGER AVAILABLE in either BLACK or CHROME finish. 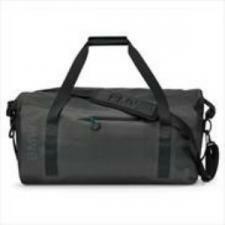 This removable trunk rack is just the thing for traveling and looks good too. 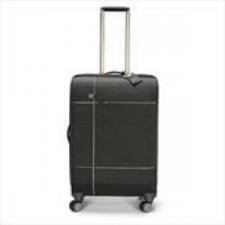 See the integrated travel case below. Requires drilling four holes in trunk lid. Holes are pre-marked on the underside of your trunk lid. 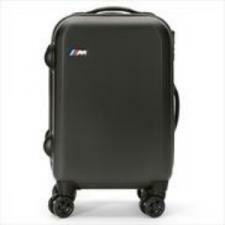 The BMW detachable luggage hard and soft cases are still available in very limited quantities. 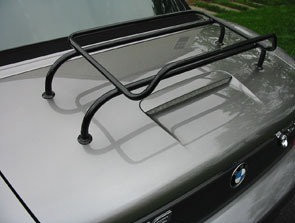 Designed to fit the BMW Z3 Trunk Rack. Weather tight! Locks onto the Trunk Rack for security. Easy on and off. Z3 logo on the lid. 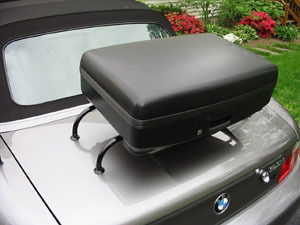 This Luggage Case is not compatible with any other trunk rack. 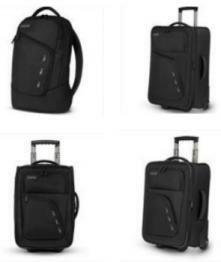 A must have for travel. 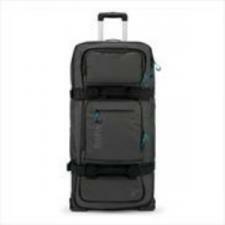 An inner case is still available in very limited quantities, see below. 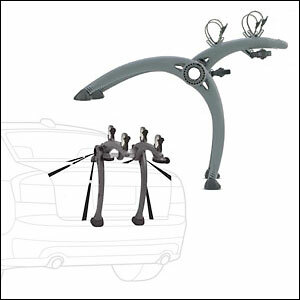 This SARIS Bones bike rack is both functional and attractive. It is easy to install and offers simple loading and unloading of bicycles. 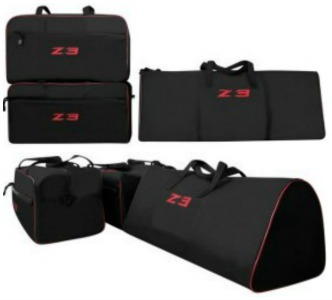 Includes all straps and hardware for securely transporting up to two bikes and mounts quickly to your Z3. Carries 2 bikes with ease. Awarded 4 1/2 stars (out of 5) by Bicycling Magazine. Injection-molded arms and legs are the strongest on the market. * Built with 100% recyclable, non-rusting materials. * Includes all hardware and straps for quick installation. * Ratcheting anti-sway straps secure and stabilize bikes. * Arc-based design fits over most spoilers and separates bikes on different levels. * Color is Dark Grey. For Z3 roadster model year 1996 - 1999 only. Will not fit the ///M roadster. Add this convenient handle to your Z3 trunk so you can close it without getting finger prints on your paint. 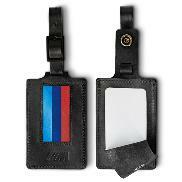 Attaches easily using provided automotive adhesive (tape). Available in BLACK or CHROME finish. Select finish during checkout from drop down list.